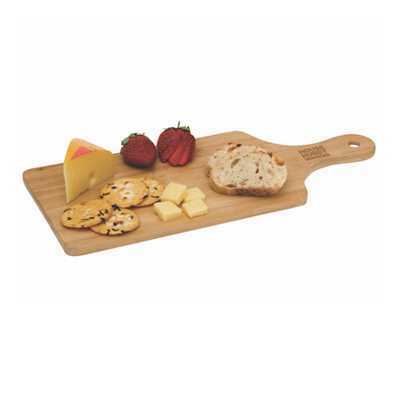 The Le Gourmet cheese cheese and biscuits platter board is crafted from ‘eco-friendly’ bamboo and supplied laser engraved with your logo. Packed in a natural coloured gift box it makes the ideal cost-effective gift. Because of the unique nature of bamboo, the product and engraving colour may vary from item to item. As this product is hand crafted, Le Gourmet may differ slightly in shape and size. A perfect reward or your employees or customers alike as practical and would look good in any kitchen.